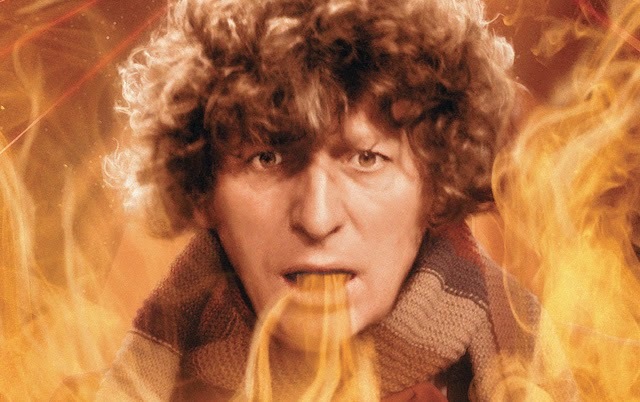 Where To Start With Big Finish: The Fourth Doctor | Warped Factor - Words in the Key of Geek. 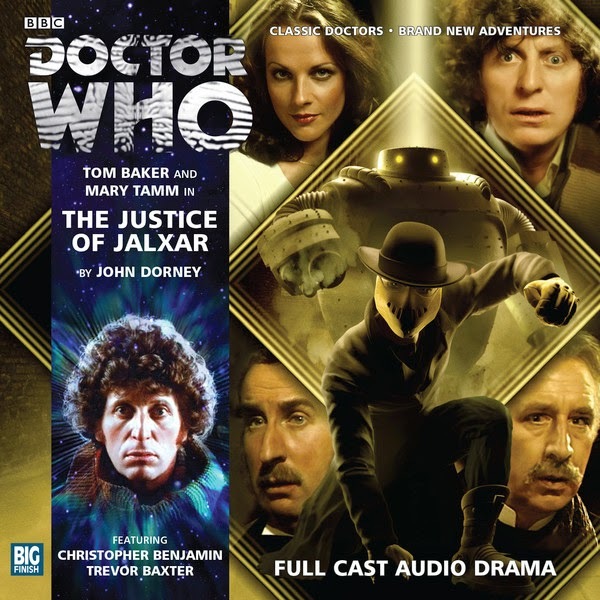 Tony Fyler picks a handful of great stories from the Fourth Doctor’s range on Big Finish audio. Tom Baker is, for many people around the world, ‘The Guv’nor’ in terms of being the Doctor. For the longest time, Big Finish didn’t have him in its stable of audio Doctors. But rejoice, all ye Fourth Doctor fans – the audio giant has had him for a few years now, and while audibly sounding sometimes like his 80 years, Tom Baker is still a superb, and relatively definitive Doctor. Here we go then with just a handful of his finest hours in the Big Finish range. A controversial choice, this is Who very much in the Douglas Adams vein of scriptwriting, and plunders the archetypes of PG Wodehouse with no ounce of shame. The undercutting of the Wodehouse humour with a darkness of alien threat is delicious, but it’s Baker at his whimsical best, and Mary Tamm turning in a Romana whose stiff neck makes her an excellent foil for the comedy. One to knock off over breakfast, rather than one to listen to while driving (safety first, Whovians), this is a frothy, funny sweetly dark concoction that goes down as smoothly as one of Jeeves’ signature cocktails. 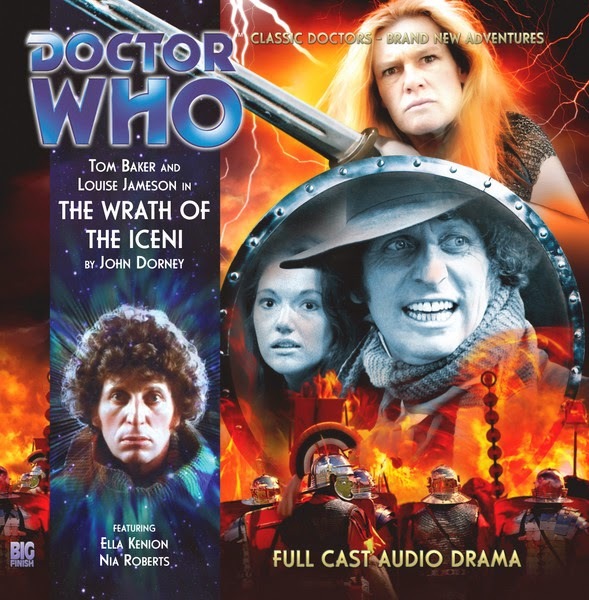 A meatier affair, this story brings the Fourth Doctor and Leela into conflict with the Master, who is bending minds – most notably Leela’s – to believe a version of reality which is injurious to the Doctor’s health. This is notable for several reasons, not least the layers of Leela’s backstory it reveals and plays with, in particular her relationship with her father. Geoffrey Beevers’ Master gains strength every time he plays the role, and he’s played it quite a lot for Big Finish, so another great thrill of this story is hearing Beevers and Baker play new scenes together, neither of them giving an inch and both of them really framing the conflict between the two rebel Time Lords. Breath-taking, touching, well-paced and bittersweet, this is one that will leave you with a richer understanding both of the Doctor and the Master, and especially of Leela’s motivations and heart. Baker, Benjamin and Baxter re-unite. Need we say more? Oh, alright – the Fourth Doctor takes the First Romana to Victorian England, ten years after the events of The Talons of Weng-Chiang, and teams up again with Professor George Litefoot and Henry Gordon Jago, to fight a steampunk vigilante and the alien presence that gives him power. Imagine all the best bits of Talons, but without the dodgy giant rat, and with Jago finding himself rather taken with the cool, collected class of Tamm’s inimitable First Romana. One of the trailers for the Fourth Doctor adventures had Tom Baker tell listeners ‘It’s Saturday teatime in 1977 again.’ This is probably the story that most evokes that very particular feeling. Worth getting for that feeling alone. The pure historical was a format that died out with Patrick Troughton, but when you have a character like Leela, and you have the brief ‘Roman Britain,’ how could you resist the idea of teaming up the science-fiction world’s favourite savage with one of history’s greatest legends, Queen Boudicca of the Iceni? Clearly, writer John Dorney couldn’t – and the world of Who is richer for his giving in to the temptation. There’s no alien menace to muddy the waters here, the central dilemma is whether the Doctor will change history to save lives, and more particularly, whether Leela, when presented with what she thinks is a noble battle, will be able to understand his reluctance to get involved. The characterisation of both Leela and Boudicca is very strong here, and we feel the pull on Leela to belong to a tribe again, to have a noble war to wage, to be part of something she can understand. This story shows exactly how different and disconnected from her origins Leela has become with the Doctor, both for better and worse. Story-arcs don’t come much bigger than that of The Eminence – Big Finish’s recent attempt to create a threat more terrible than the Daleks. 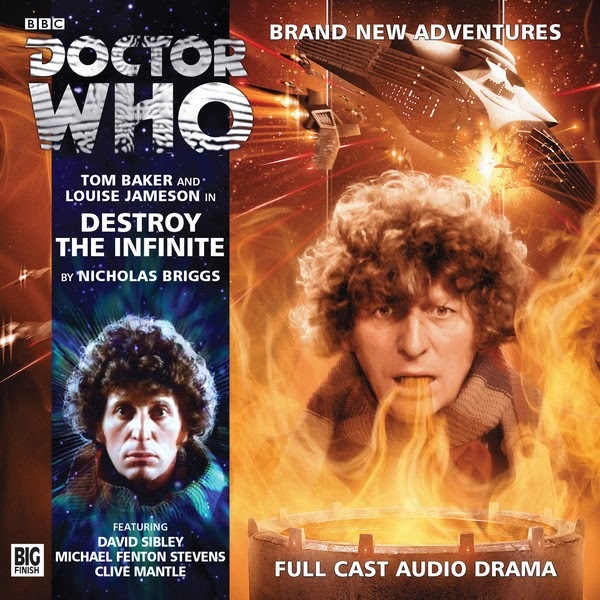 Whether they succeed will depend on how the story develops in Dark Eyes 3 and beyond with the Eighth Doctor, but the force of the Eminence and their Infinite Warriors – first hear by listeners in Sixth Doctor story The Seeds of War really begins for the Doctor right here in his Fourth incarnation. This story, as much as anything, is a play on all the great black and white naval war movies, most notably of course Sink The Bismarck!, and pits the Fourth Doctor and Leela against not only the gaseous lifeform that is the Eminence, but an enormous death-ship filled to the rafters with Infinite Warriors, impervious to most forms of firepower, ready to spread destruction throughout the universe. It’s a high-stakes, high-drama, highly-strung piece of writing that might endanger at least a couple of your fingernails. As ever, these recommendations are subjective – feel free to add your own suggestions and recommendations in the comments. 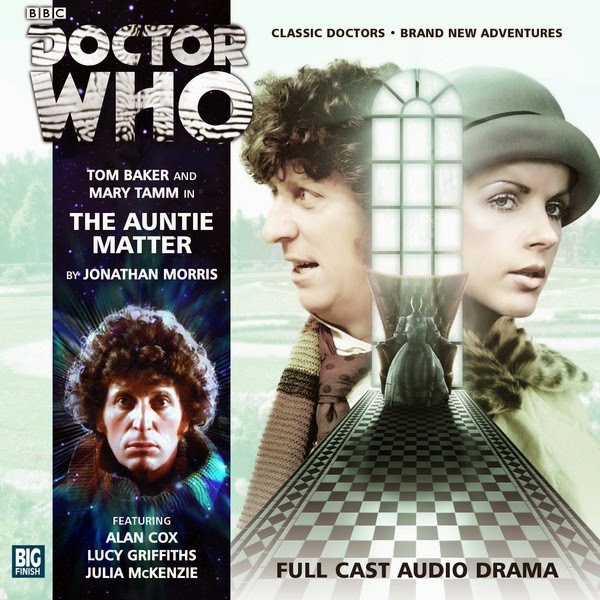 What’s more, while this is just a handful of Tom Baker stories at Big Finish, there are plenty of others worthy of note – The King of Sontar explores Sontaran creeds and society, Zygon Hunt is exactly what it sounds like, only better and more compelling, and it would be wrong to close without mentioning a four-part story that ran over the course of the second audio season – the Cuthbert arc: The Sands of Life, War Against The Laan, The Dalek Contract and The Final Phase. This story pits the Fourth Doctor and the First Romana against Cuthbert, an enigmatic Alan Sugar of space and time, played with magnificent throwaway northern aplomb by the always-magnificent David Warner. Coming in 2015, Big Finish will bring us Fourth Doctor stories including The Exxilons, The Return To Telos, and a series of stories matching the Fourth Doctor with the Second Romana, played by Lalla Ward. Jump on board now – it’s going to be a Bakerific year.